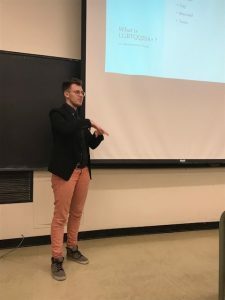 Social justice is the idea that equality, especially regarding social, political, and economic affairs, should exist for everyone regardless of background, class, race, sexuality, gender, etc. 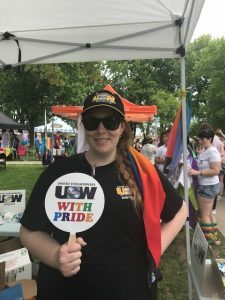 USW prides itself as an organization that is at the forefront of progressive and inclusive movements, and in supporting legislation which put workers and their families first. 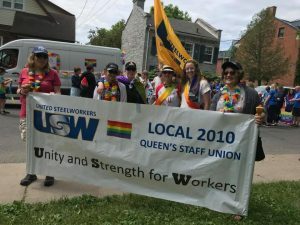 USW Local 2010 is committed to actively engaging with social justice causes. 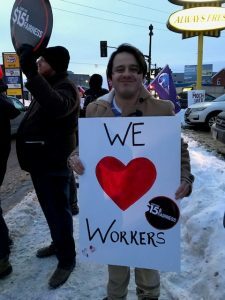 Throughout the last year, we have endorsed or supported initiatives that we believe work towards the creation of a more just society. 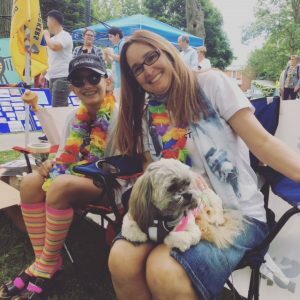 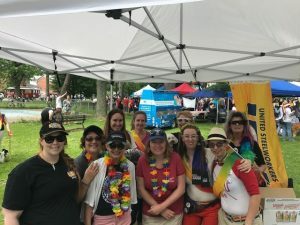 – An annual event for our Local, USW 2010 marches in the parade and provides snacks and water at our table to show our support for the LGBTQ community. 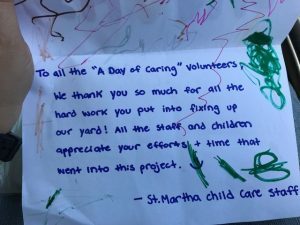 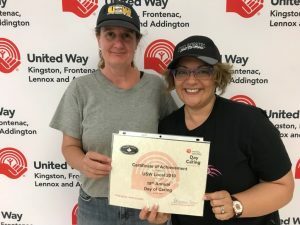 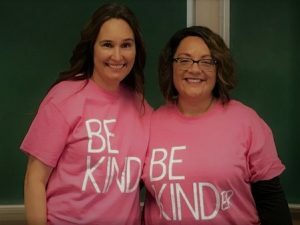 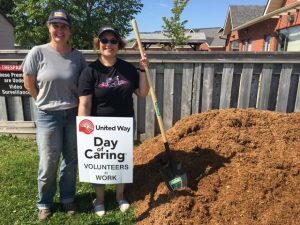 Local 2010 Executive Members, Liza Cote and Christina Salavantis, participated in the Kingston United Way Day of Caring, which is a community-wide event that demonstrates the power of volunteering. 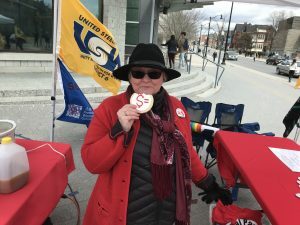 In cooperation with our campus partners, USW annually sponsors Equal Pay Day. 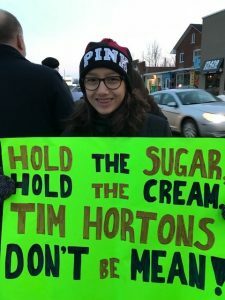 This event marks the day into the new year that women have to work in Ontario to earn the same as men in the previous calendar year. 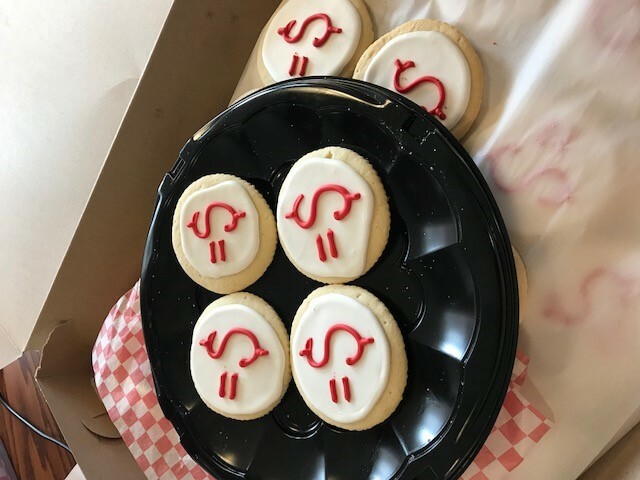 For more information, please see the Equal Pay Coalition. 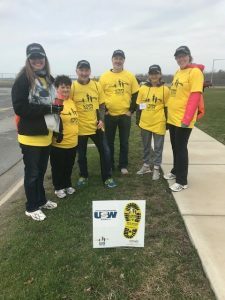 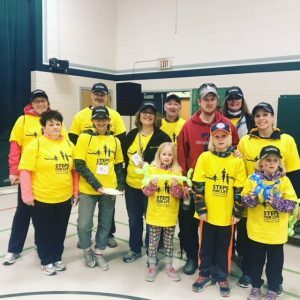 Members of the USW 2010 Health and Safety Committee (Liza Cote, Abigail Scott, and Crystal McCracken) along with USW 2010 President Kelly Orser, our Staff Rep John Goldthorp, and families all partook in this walk and together raised $2,145.00!!!! 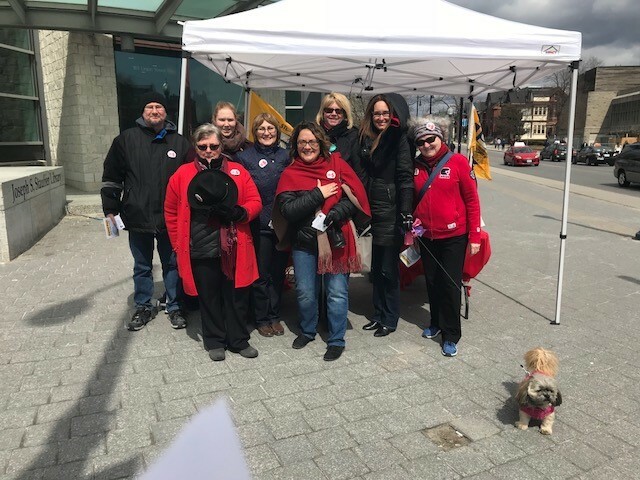 Special thanks to USW 343, USW 8327, USW Hawkesbury Service Fund, USW Eastern Ontario Area Council, and Director Marty Warren for your generous contributions to our team and to the event. Annual Valentines Day event to promote the awareness of violence against women and the effect it can have on the workplace. 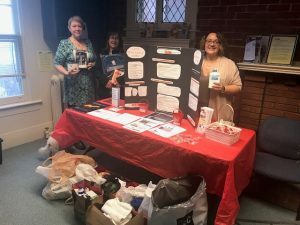 Donations are collected by Local 2010 and taken to Interval House. 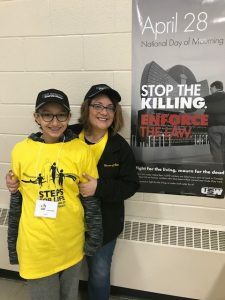 – Endorsed Counsellor Jim Neil’s motion that will appear before City Council in September 2017 to make Kingston a Sanctuary City. For more information please see Solidarity Kingston and this FAQ. 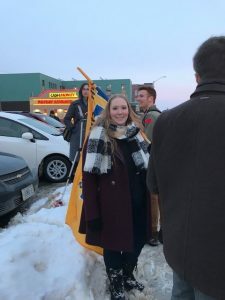 – Participated in the march against fascism and hate to promote a safe and welcoming community for everyone. 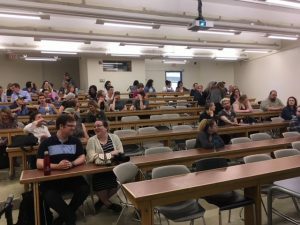 – Kelly Orser attended the Hearings for Bill 148 in Niagara Falls and appeared before the Board to advocate on behalf of working people and their families for changes to the Employment Standards Act and the Labour Relations Act. 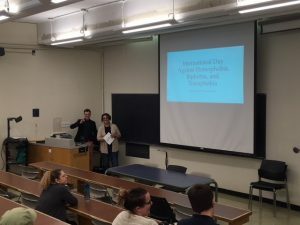 – Hosted a presentation by the grass roots community campaign We Own It for our membership on the benefits of stopping the privatization of our public sector. 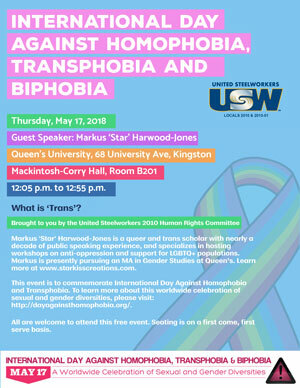 If you have any questions regarding any of the above endorsements, or you would like to get involved, please email us at contact@usw2010.ca.